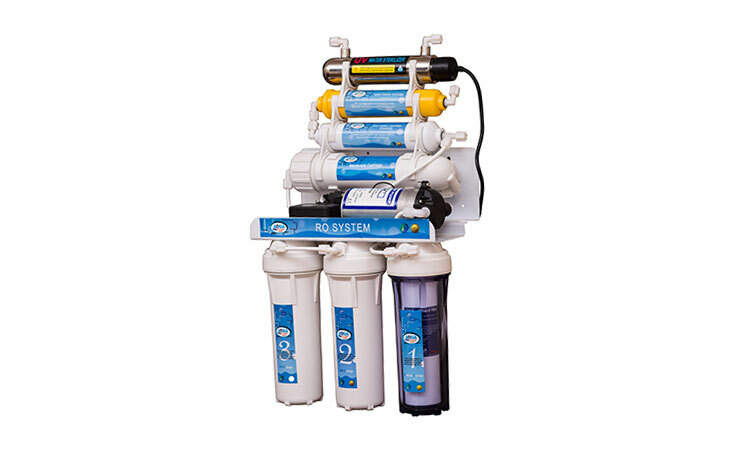 · First stage: "Sediment 5 micron ": Primary cartridge composed of polypropylene fibers at 5 microns precision to prevent impurities, sand, insects, algae and rust. · Second Stage: "GAC": Contains granular activated carbon which adsorbs gases that cause bad odor in water, chlorine and organic substances. · Third Stage: "CTO": Composed of carbon block to adsorb chlorine derivatives and organic substances, encapsulated in unwoven fabric at 5 microns precision to ensure the absence of impurities. 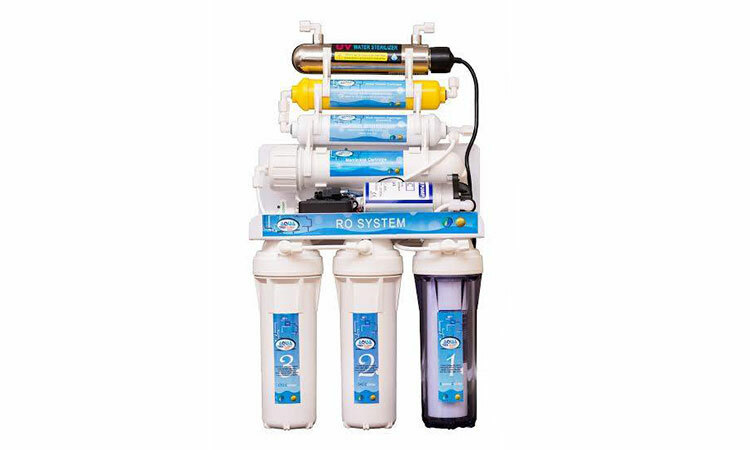 · Fourth Stage: " R.O Membrane" : 75 GPD productivity reverse osmosis element with 0.0001 microns precision to eliminate salts, heavy metals, organic substances, viruses by 99 % rejection. · Fifth stage "PCC" : a component of a substance active carbon, manufactured from coconut to remove any effect of the process of storage and remove any odors or dissolved gases, bad taste to change the filter. · Sixth stage: "calcite" : A cartridge is divided into 3 parts of carbon and rock particles and bio-ceramic to remove any residual chlorine taste or smell and also add a range of useful minerals extracted from the mineral-rich rocks. · Seventh stage" Ultra Violet" : uv unit is using to remove bacteria and fungi by destroy the DNA and stopping its harmful effect in water by sending a small-length ray to be suitable with the microorganism and to be not harmful for health.